There's something so fun about interactive cards that give the recipient a nifty surprise when they open the envelope. Today we're going to look at how to create Fantastic Flop Cards! Today's video will give you a closer look at how our new Flop Card Die-namics work. 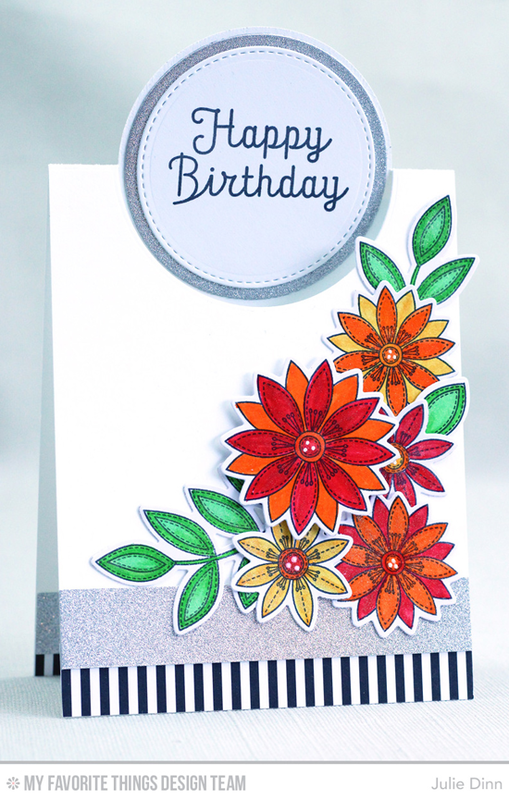 Stephanie shares two cards originally created by Torico that show how to use these innovative dies! Watch the video below or click here (June 2016 Release Class - Flop Cards 2 Ways) to watch it on YouTube. Don't forget to subscribe to our YouTube channel so that you don't miss a single tutorial! Our Flop Card Die-namics are so much fun! There are so many possibilities with them, and your recipients will love them. This is just one of five videos from our June 2016 Release Classes. Check out the other videos HERE for more great ideas! Let's take a look at a few examples of some projects that feature the Flop Card - Circle Die-namics. 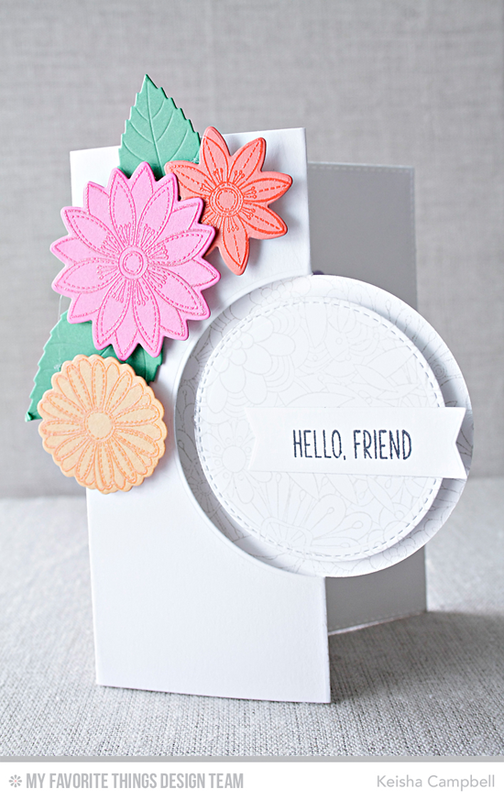 Keisha features the Flop Card - Circle Die-namics on a gorgeous card with lovely neutrals and pops of fresh color using the Funky Flowers stamp set and Die-namics. Kimberly goes for a more cutesy look with the Flop Card - Circle Die-namics and Hog Heaven stamp set for her design. I love how she created interest on the card flaps with the Whimsical Woodgrain Background stamp! Julie takes the Flop Card - Circle Die-namics to new heights on her creative design! All of the Flop Card Die-namics shapes take a rectangular card into a whole new dimension. How cool is that? You will LOVE playing with the Flop Card Die-namics. Be sure to tag #mftstamps when you post your projects online. We can't wait to see what you've made! Beautiful cards. I love this design. Great, informative video. Thanks so much.